The Clarkston Foundation community-based support organization focused on supporting the students of Clarkston Community Schools. The Clarkston Foundation has awarded more than $500,000 in classroom grants in the past thirty years, and has provided benefits to more than 25,000 students. With the support of the Clarkston community, the Foundation continues to grow and dedicate itself to the support of our young mathematicians, scientists and art scholars each year! We need YOUR help. Donate today to support our students and staff! In 1987, Clarkston Schools’ Superintendent Gary Haner gathered together a number of Clarkston community leaders who could share with him their ideas on how to grow more support for school district academic programs and student success. Haner shared information about educational foundations in nearby communities that had developed support programs, and he invited members of the Waterford Foundation to help him with this project. Feedback was positive and encouraging, and all members agreed that the district’s fine reputation, most often linked to successful athletic and performing arts programs, could easily be connected to its academic excellence, as well. Soon, Superintendent Haner appointed David Reschke, then the Principal at Sashabaw Junior High School, who had previously worked in Waterford, to form a local planning team that would be joined by Waterford Foundation members John Beech, Don Arsen, Ron Arnold, Bob Coates, Tim Patterson and others, in an effort to create together a Clarkston and student success. The Clarkston Board of Education approved the formation of the Clarkston Foundation, and the Waterford Foundation loaned the planning team $3,000 to pay for necessary legal fees and first year operational costs. Documents from Waterford served as the models for the needed documents in Clarkston. Legal advice was donated from Tim Patterson of the Waterford Foundation, as well. This support saved time and money in our early startup days. Slow growth was expected, but clearly, dedication to this effort was high, and the start up of the Clarkston Foundation for Public Education was seen as a watershed moment for our community. There was now a recognized group that would support our excellent math, science and arts programs. This group was dedicated to raising awareness of these programs, and seeking additional funding support for them. Statewide, school funding was limited, and many districts were cutting needed programs just to balance budgets. Clarkston now had a way to supplement the funds the state was not able to provide, so that, in many cases teachers could continue to provide important learning experiences for students. Student scholarships could be made available to inspired and deserving students to further their education. A lot of work had to be done! A lot of people would be needed to help! The good news was that most of the planning committee members volunteered to serve on the first Clarkston Foundation Board of Directors. Bill Bliesath was the first president of the Clarkston Foundation, and Gary Haner served as the school district liaison. As for the other Foundation board members included Bob Olsen, Kim Beattie, Rick Huttenlocher, Clarence Catallo, Carol Rush-Wallace, and Dr. James O’Neill. Dave Reschke volunteered to be a facilitator and academic adviser for the group. With very little money to work with, the first order of business was to plan fund raising events that would build a financial endowment system for the Foundation. The Foundation was ambitious right from the start! 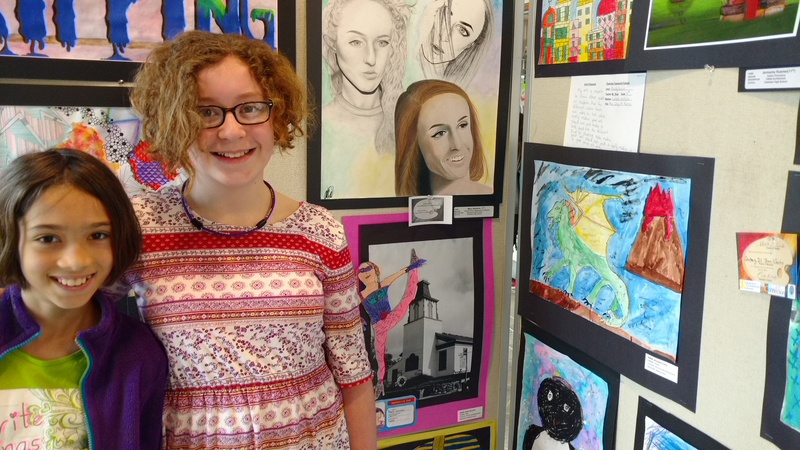 Clarkston, Holly, Brandon, Lake Orion and Oxford all joined forces in an effort to showcase student artwork from North Oakland County. We gained support from the new Palace of Auburn Hills and piggy-backed on to a concert by Grammy award winning country western singer Ricky Skaggs. Each Foundation was given tickets to sell, and ads were produced and aired. On the day of the concert, student artwork was displayed throughout the Palace. Student success was celebrated but at the end of the day, profits were non-existent. The Palace, in a gesture of sincere community support, absorbed all of the cost over-runs, and each foundation “broke even” for the event. This was just the beginning for the Clarkston Foundation! Each Year the Clarkston Foundation honors a Teacher of the Year. The honoree for the 2017-2018 academic year is Chris Brosky, Science Teacher at Clarkston High School! In addition to this distinct honor, Mr. Brosky receives the use of a Ford car or truck of his choice for the next year, thanks to The Suburban Collection/Suburban Ford of Waterford. Clarkston Foundation Classroom grants are intended to start-up new and innovative programs that could not be funded within a school’s operating budget. Traditionally, the emphasis has been placed on programs that serve the sciences or arts but the Foundation has now opened classroom grants to all core subject areas. Classroom grants are provided to support teachers or groups who have created an innovative activity program that will enhance a student's education experience. Grants are funded as 'seed funding'. Once the value of such programming is established, it is assumed that the school district will determine the source of further funding if the program is successful and fits curriculum guidelines. Therefore, the Clarkston Foundation operates under a general guideline of supporting programs for a period of up to three years. Applications will be posted here, please check back! The Clarkston Foundation supports many different educational opportunities for students in our district. We could not do this without the support and generosity of the Clarkston community. The Clarkston Foundation is comprised of and financially supported by Clarkston families, teachers, and administrators that have a passion for academic excellence. Encouraging our children to follow their hearts and minds is what the Clarkston Foundation is all about. Each year, we sponsor academic events and provide additional learning experiences that reach thousands of Clarkston school children in K-12. Your donation will help to support these programs and more! Thank you for supporting Clarkston's kids! The Clarkston Foundation is comprised of and financially supported by Clarkston families, teachers, and administrators that have a passion for academic excellence. Encouraging our children to follow their hearts and minds is what the Clarkston Foundation is all about. Each year, we sponsor academic events and provide additional learning experiences that reach thousands of Clarkston school children in grades K-12. If you have a heart for kids and a passion for academic excellence, please help us continue to make a difference by becoming a member of the Clarkston Foundation. Our Annual Membership fee is a minimum donation of $20. You can also donate at higher levels. You may become a member by using our online form (below), or click on the membership link on the right, print out the membership form and bring to any Clarkston Community School building. If you have any questions please contact Anne Collias at 248.623.5413. We’ll keep you informed of upcoming activities and scholarship opportunities for your child. Fill out the form below and we will contact you to take payment and complete your membership. One of the best aspects of the Clarkston Foundation is that we are an entirely volunteer organization. This allows us to give virtually 100% of every dollar we make back to the community. There’s also a downside to this. Sometimes it’s hard to find all the help we need. That’s why we have created our volunteer program. By signing up below you can choose the areas that you would like to volunteer for and you will be added to our volunteer list. Then when we need volunteers for an event we will contact you prior to the event to see if you’re interested in helping on that particular day. Please take a look at the list of everything we need volunteers for and decide how you could best help the Clarkston Foundation and support our community at the same time. We are so happy that you have decided to give of yourself and help us in our mission to enrich the lives and experiences the students have in our school district. Suburban Ford of Waterford for being our annual Premier Sponsor! Suburban offer a wide selection of automotive services sure to keep you rolling with a smile for years to come. Thank you to AT&T for supporting the Clarkston Foundation. Supporting education has been a major focus for AT&T for more than a century. In fact, education is its key philanthropic focus. AT&T is driven to help students succeed -- in school, in the workforce, and in life.